Up close and personal with the Girard Perregaux Esmeralda, pocket watch with three golden bridges. I reported on the remake of the famous Tourbillon with 3 golden bridges pocket watch some time ago during the exhibition of the GP treasures in Singapore. What I did not say then, was I was privillaged to be allowed to handle and photograph the historically important Girard Perregaux "La Esmeralda"...the original, historical pocket watch with 3 golden bridges. Girard Perregaux no. 168230, "La Esmeralda" is a historically important watch for GP, the 3 golden bridges and tourbillons. 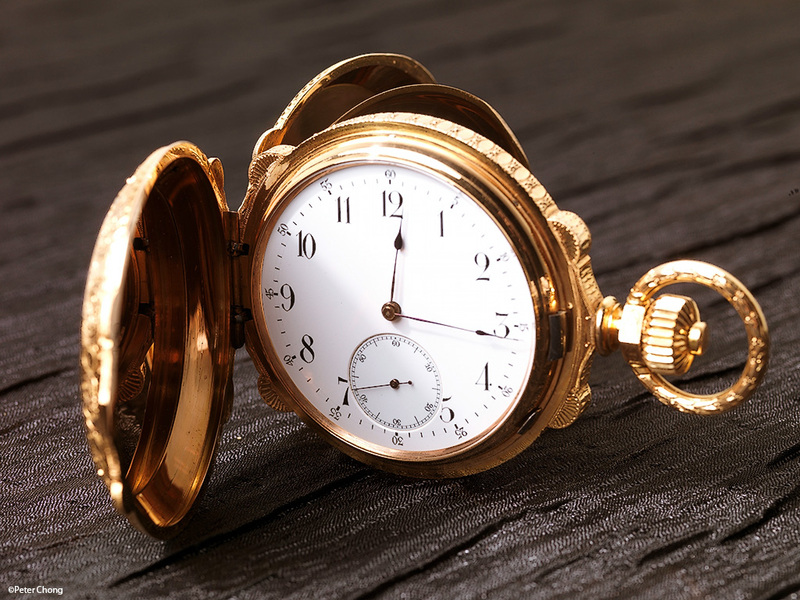 This particular watch had won awards at the Neuchatel Observatory from 1865 to 1890. The watch was eventually sold to President Porfirio Diaz of Mexico and purchased back by GP from the Dias family in 1973. 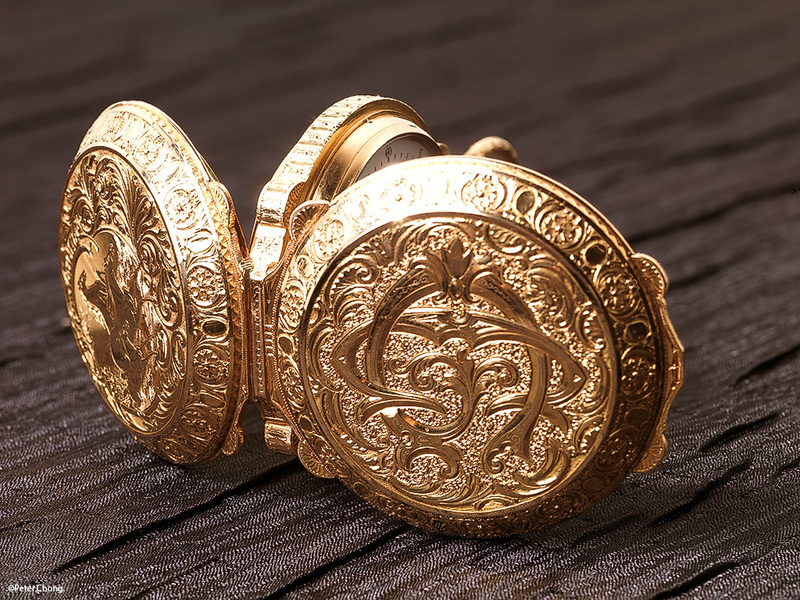 The watch is magnificently decorated...both the massive hunter case and the movement are heavily engraved.